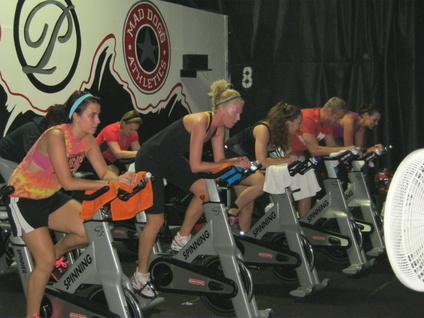 JOIN OUR GROUP FITNESS CLASSES! ABS AND CIRCUIT TRAINING: A full body circuit with focus on complete abdominal work in first half; complete body strength workout in second half. Come for ABS stay for STRENGTH! CARDIO BLAST: This strictly cardio class promises a heart-pumping workout. Blast calories, burn fat, and boost your metabolism with this high-energy class. SILVER SNEAKERS MSROM: Muscular Strength Range of Motion. 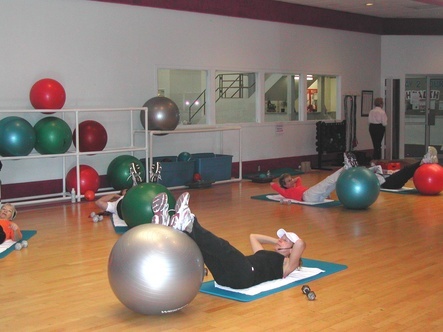 Join us to improve flexibility & range of motion while using fun, simple exercises and equipment to motivating music! ZUMBA: Mambo and Samba your calories away. Zumba combines high energy, motivating Latin music with unique moves and combinations. 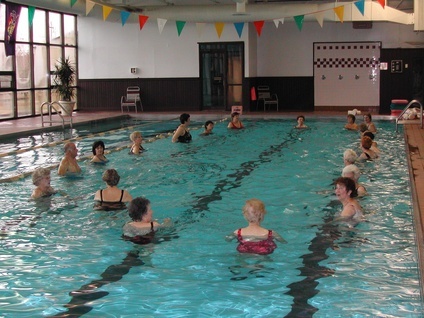 H2O Cardio: A class set in the indoor pool. The buoyancy of the water lessens the force of your body weight during exercise making it a lower impact exercise (All levels).